Kerri is a graduate of Mount Allison University with a Bachelor of Arts, honor degree, and Dalhousie University, with a Bachelor of Laws degree. 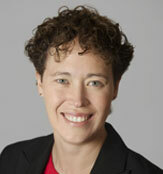 Kerri has been practicing law since June 2004 and is currently a partner at Carruthers MacDonell & Robson. Kerri has a general law practice, which allows her to offer advice on many areas of the law that impact Family Law, including Wills & Estates and Real Estate Law. Kerri has been trained in the collaborative law model and has enjoyed using these skills to negotiate successful resolutions for her clients in all areas of family law, including divorce, custody and access, support, division of assets and debts and Children and Family Services matters.